/ Modified apr 28, 2015 4:41 p.m. The results of belt-tightening in the state budget are beginning to trickle down to programs around Arizona, including the Cooper Center for Environmental Learning – better known around Tucson as Camp Cooper. The center will lose about $100,000, or half of its funding from the University of Arizona next year, which is itself facing a loss of nearly $30 million dollars from the state. Cooper Center Director Colin Waite said for the past fifty years the camp has given students a chance to get out of the classroom for an entirely different learning experience. "It’s always been targeted to the kids who can’t get out of their neighborhoods or out of the city to really appreciate and really enjoy nature," he said. 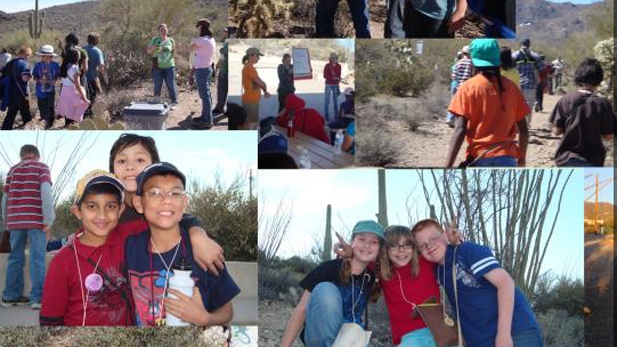 About 4,000 kids attend Camp Cooper each year, which is owned by TUSD. Until now, the UA College of Education had fully covered staffing costs. The organization is asking Tucsonans that have had an experience with the camp to contribute to keeping it open. "If they had a good memory as a child or a parent, we’re hoping that they will provide that memory to someone else who needs it and to the future field trips that we want to have coming out to the center," Waite said. Click here for information on how to contribute.